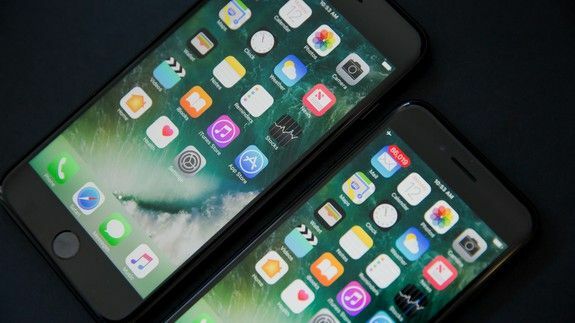 After a long wait Apple has finally rolled the update for the iOS 10.3 which is expected which will started hitting the devices from Monday. Those who got the chance to get the latest update early on their devices are claiming that their device is surprisingly faster than earlier. iPhone is running with a new vigour and performance is simply way better than it was being produced before the update. But this isn’t the surprisingly thing which we would love to share with the iPhone users. It is widely known that the new update tends to improvise on the performance of the OS which ultimately helps in getting better output from the existing hardware. But this update has shown a new insight into how the iPhone can be made run much better even after the update. The latest update brings a relatively new kind of fancy file system which plays a judgement role in freeing up the storage space on the OS. But this isn’t the only major improvement made in the iOS by the developers at the Apple. One of the Apple engineer going by the name of Renaud Lienhart has revealed on the Twitter one of the undocumented tweak implement in the OPS. This particular tweak has helped in improving the performance of the iPhone to a whole new extent. What this tweak is all about? The update iOS 10.3 brings a wide range of snappier animation for the OS which allows it to perform exceptionally well. All the animation present on iOS was tweaked as well as shortened to a great extent by the team of the Apple engineers. The animation which has been the talking point in the whole case of performance boosting relates to almost every aspect of the operating system experience. This animation can be seen in the opening, closing or switching between different apps. It would be absurd to think that simply optimizing the animation will help in getting better performance out a device. Rather this has helped in improving the responsiveness of the OS to the user’s commands or gestures which ultimately gives a feeling of improved performance on the iPhone. This tiny change has made it easier to perform multitasking on the iPhone. If you are tired with the slow performance of your iPhone then waste no time and update your device to the latest 10.3 version. This will allow you to get the speed boost and it is very good thing to keep your device updated with the latest version of OS as it helps in safeguarding the devices from wide range of bugs and it brings a whole range of fixes. A major bug has been rooted from the iOS with this update which is called Safari ransom bug. In short 10.3 update not just speeds up your iPhone but it also helps in keeping device secure against the bugs.